Published: Aug 28, 2015 to ? 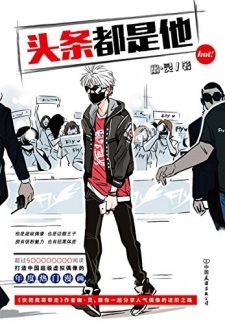 Tou Tiao Dou Shi Ta is a story about Yin Shen, a member of the (in)famous idol boygroup FLY. What makes him the center of attention? Why do they call him the "retarded" idol? Is it true that he is a jerk to everyone? Throughout this comic, you will get the chance to laugh with the hilarious situations dummy Yin Shen puts himself in ? whatever he does always makes it to the headlines of the tabloids. However, prepare yourself to experience the feels with the characters when it comes to their friendship, hardship and the dark sides of showbiz.